RMS Choir students participated in the Region 15 Choir Solo & Ensemble Competition at Lincoln Middle School in McAllen, TX. All earned a Superior I rating. 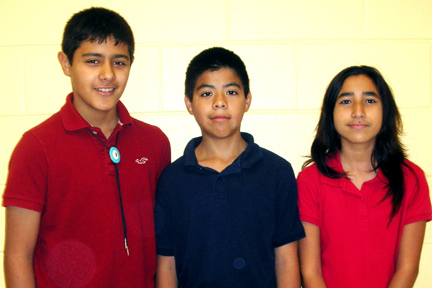 The students are: Michael Garcia, Eric Medelez, and Kayla Rodriguez. These students are under the direction of Annabelle Zapata. Get a $100 iTunes(R) card.